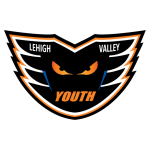 Welcome to Lehigh Valley Phantoms Youth Hockey, the premiere organization providing travel ice hockey and skill development to boys and girls in the Lehigh Valley. Our club is about Ice Time, Membership, Junior Club, Location, Shows, Exhibitions, Competitions, Test Sessions, Fundraisers, Picnics & Parties, Club Jackets, Shirts & Sweatshirts, Skater Profiles & Photos and much, much more. Learn more about the Figure Skating Major. It is the intent of the Lehigh Valley Scholastic Hockey League to provide competition in the sport of ice hockey; to encourage good sportsmanship; to strive for better understanding of the sport; to provide an opportunity to develop mutual respect among players, the coaching staff and the fans; to learn how to accept failure as well as success; and to preserve and cherish the memories of these competitive experiences. Are you tired of playing against 20-something year olds? The Over 35 “Geezer” Hockey League for those older players who want a more comfortable and fun playing environment. This league is geared towards one thing; enjoying the great game of hockey. The “Original 6 Hockey Association” is a USA Hockey Registered Adult Hockey League that plays at the Steel Ice Center in Bethlehem, PA. The purpose of this league is that we are a recreational hockey league designed to promote the fun aspects of ice hockey while providing a competitive environment to do so. We pride ourselves on the fact that our games and players are competitive but respectful of each other and the game. East Penn is a short track speed skating club with members who skate for leisure, fitness, and competition. We cater to a wide range of skaters from ages 4 through 65, and absolute beginners through Olympic athletes.